Since I have been neglecting you all so badly, I thought I’d make up for it by giving you two recipes for your braai fires this weekend – using one batch of bread-dough. Two for the price of one! So get out your cast iron pots, light your braai fire and lets do some cooking. 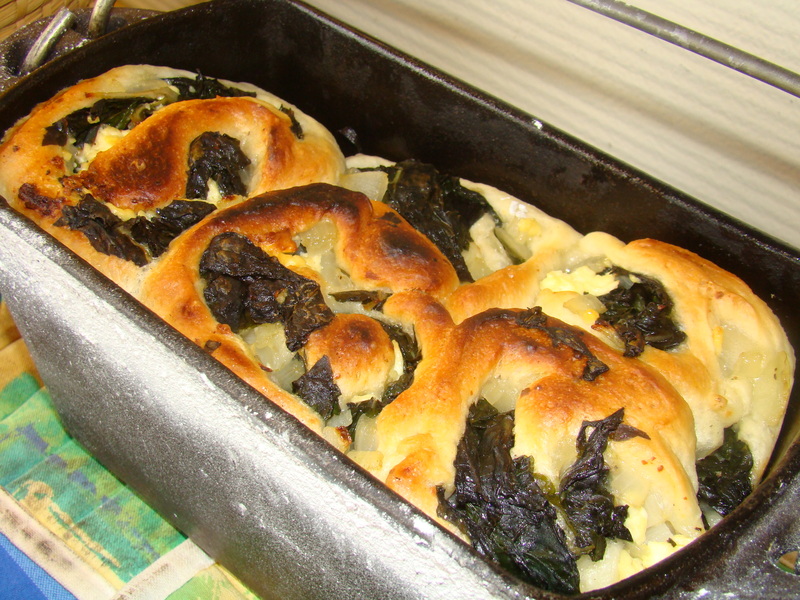 Start by making one batch of white bread dough, divide it in half and bake a batch of Spinach and Feta Rolls and then a batch of Pecan Caramel Buns. 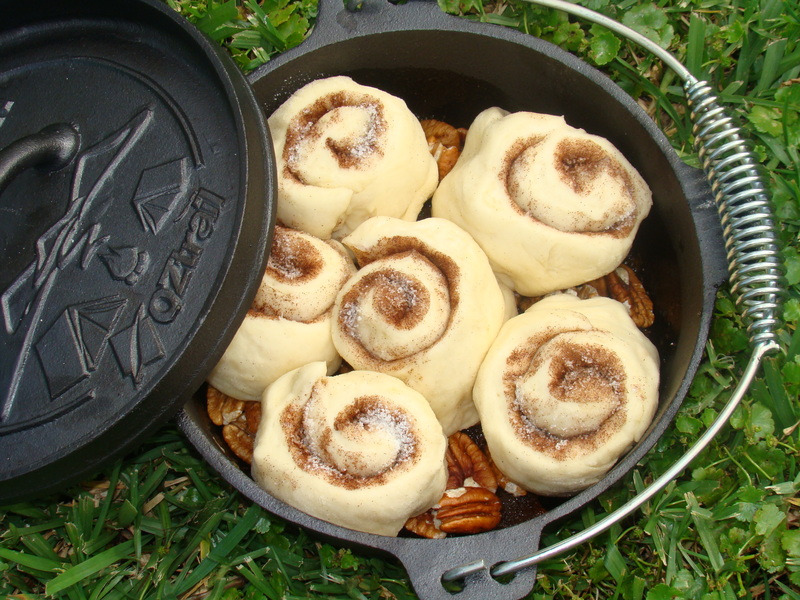 I use my little rectangular bread pot for the savoury rolls and a small round pot for the sweet rolls – if your pots have lids with a rim to hold some coals on top, even better. 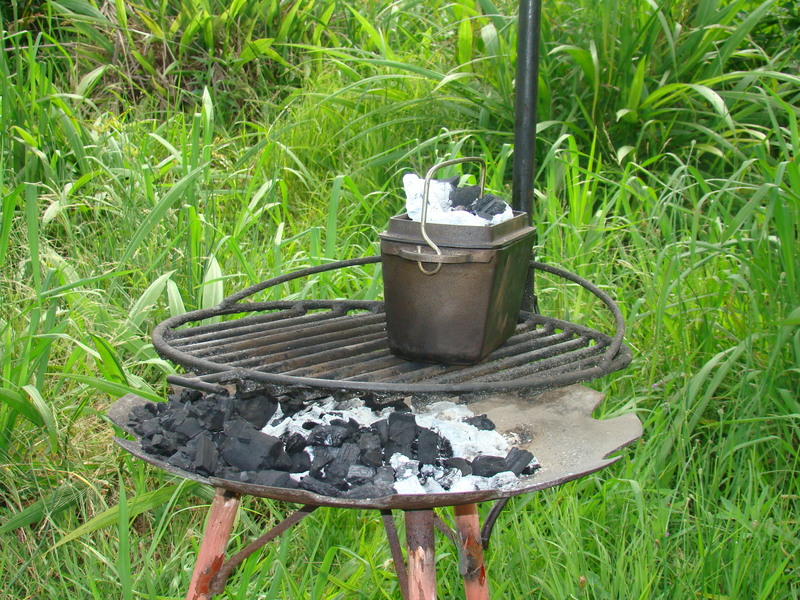 You will also need a hot bed of coals for cooking – we like to place the pots on top of the grid, not directly in the coals, which can lead to scorched bread. Mix the flour, yeast and salt together in a mixing bowl. 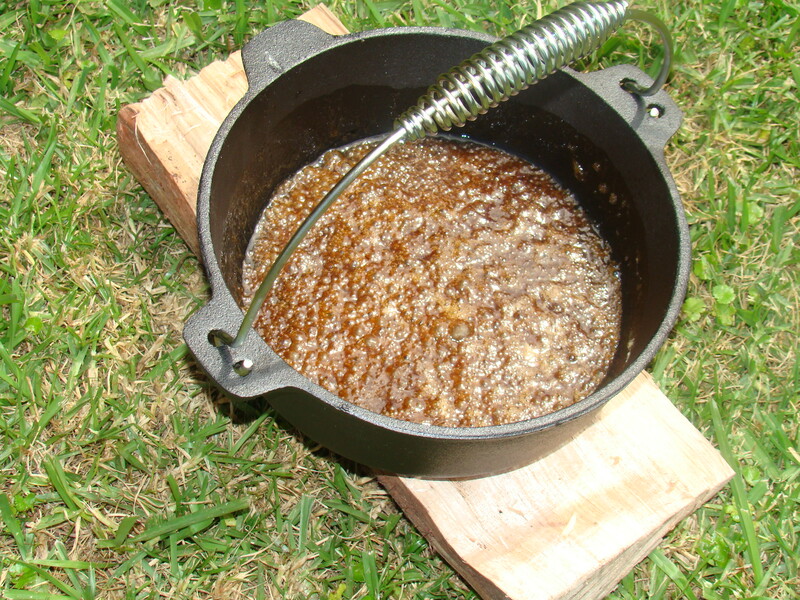 Make a well in the centre, pour in the oil and syrup, then add the water bit by bit, stirring to combine. Don’t add all the water at once, it may be more than you need, and then you’ll have a sticky mess. Once the mixture has combined, turn it out onto a floured surface, and start kneading it until the dough becomes smooth and pliable, or elastic. Lightly oil a smaller bowl, and place the dough into it, cover and set it aside somewhere warm to prove, or rise, until doubled in size. Turn out onto the floured surface, and knock back, knead slightly again. 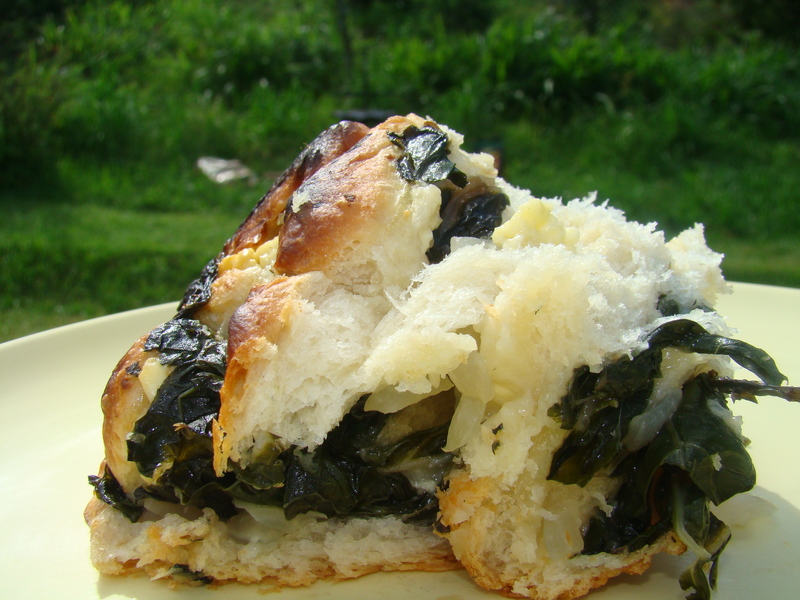 Turn out onto a bread board, break apart gently and enjoy with plenty of butter! 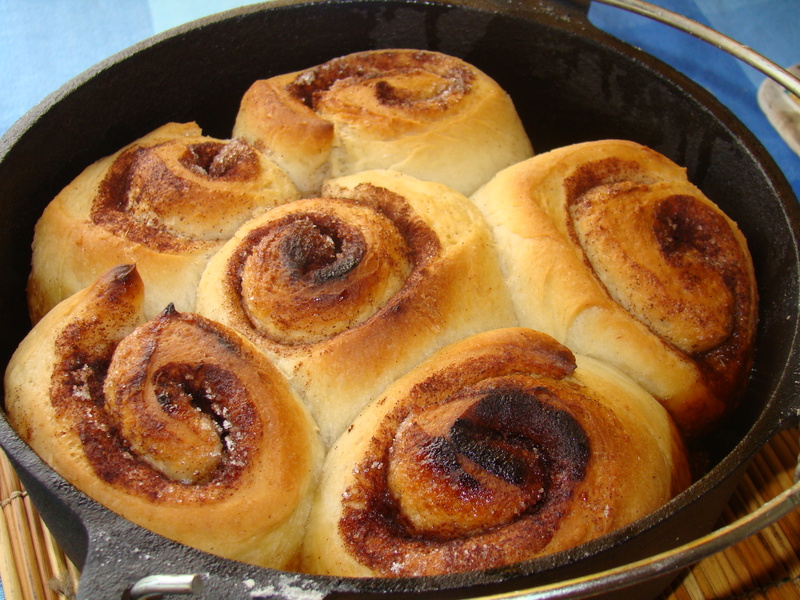 These are absolutely delicious, and will be eaten before they get a chance to cool. 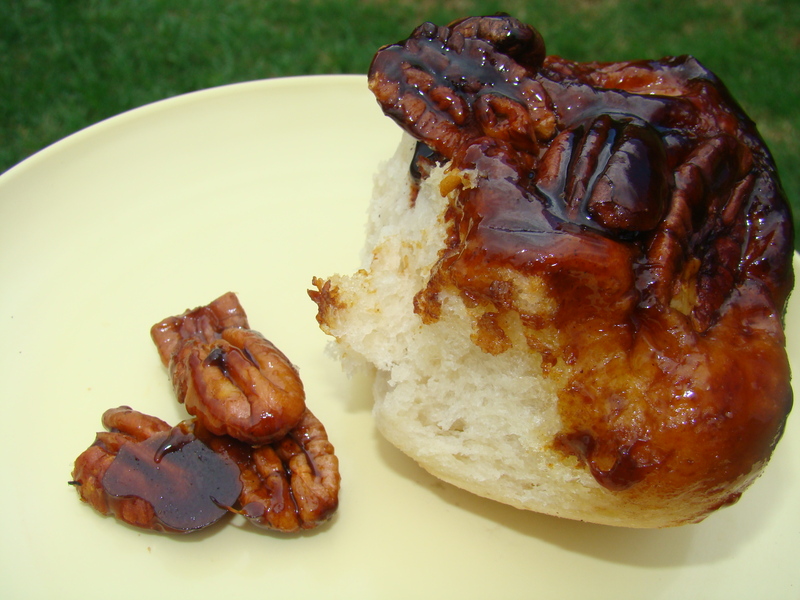 Now with the other half of the dough, make some sweet pecan caramel buns for dessert. And there you have it – bread-baking with a twist. These variations are both so delicious, that they are worth the time and effort. Happy cooking and if you are lucky enough to be camping this weekend, enjoy!